The famous name on this bottle comes from a group of wild turkey hunters, on of whom brought a special barrel-aged bourbon on their annual hunting trip. In later years they always requested "that Wild Turkey bourbon" and today it is still hand-crafted in the same slow traditional way. It also perfectly enhances this real Kentucky barbecue sauce, which is made with the finest ingredients. Enjoy. Ingredients: Tomato Paste, Corn Syrup Solids, Vinegar, Molasses, Sugar, Modified Food Starch, Spice, Salt, Lemon Juice, Mustard Flour, Dehydrated Onion, Garlic, and Sodium Benzoate. Check out our recipe for Wild Turkey Chicken Roll Ups! Great BBQ Sauce, even better Service! 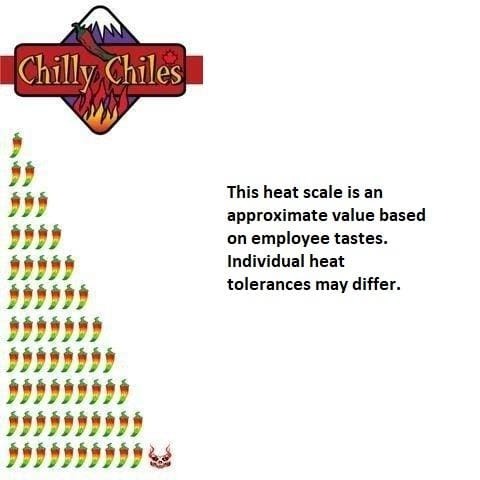 The team over at Chilly Chiles works hard to make sure your needs are met and they stock some awesome stuff. Will definitely buy from them again in the future!